Last week we observed the 60th (!!) anniversary of the Korean war..”the Forgotten War” some call in..but any of us who lived thru it would hardly call it that. Nor would the families of 7900 (!!) missing U-S servicemen from that war...still gone, still missing, still a heartbreak on their families and friends. And that war is technically not over. No peace treaty has been ratified. The U-S is still obligated, by treaty, to defend South Korea if the North becomes warlike again (as it did just a few short, short weeks ago, remember?) Though Washington does seem to have a way with words, announcing last week that the coup (by any definition but theirs) in Egypt wasn’t really a coup after all. But it’s the MIAs from Korea (and WW2 and WW1..and all the rest) that bother me. That’s a matter we don’t seem to take into account when the U-S rushes swiftly to war (WMD proof or not). Or the small matter of Congress letting the President declare war, contrary to the Constitution...an abdication of its power that has gone on for how many wars so far? Or the cost of caring for veterans,"and his widow and his orphans” in Mr. Lincoln’s famous phrase. Most surveys show the U-S has done a sad, sad job here..leaving it to we private citizens to care for them, as a fine group of Jessamine Countians did for a seriously wounded veteran and his family over the weekend. But, overlooking the missing 7900 from the Korean war (and how can we?) since January I can recall officials of the executive or legislative branch seriously calling upon the U-S to start a war against North Korea, Iran, Syria, Sudan, Somalia...have I left out any others? A “hit” would mean that car has three or more unpaid parking tickets. A call is made, and soon a “boot” is placed on that car, immobilizing it until the owner pays the tickets. Good idea. Law violators should pay up and not avoid fines. Why not go a step further? Let police load stolen car plates into LexPark’s software and search for those vehicles ,too. Why limit it to just parking tickets as long as we’re out there looking? The police can use all the help we can give them. This seems such an obvious way to help. 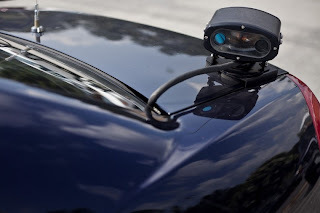 But, The American civil Liberties Union points out police in 38 states are already doing various forms of license plate scanning, and there are no uniform rules and regulations for handling this information..especially storing it. ACLU’s survey shows Grapevine, Texas has stored 2 million plates; Milpitas, California, a town of 68,000, has 4.7 million plates stored. Maryland has been storing such data for a long time, but its own records show out of every million plates recorded, but 47 have any relation to a potential crime. Technology can be a useful tool, but I would encourage LexPark or the LPD to store such records only as long as they may be needed for a court case. After that, they should all be erased and recycled..saving taxpayers money and ending the specter of Big Brother’s long nose being stuck, needlessly, into the business of Lexington drivers. With NSA recording our phone calls and e-mails, with the Post office photographing all our mail, this is one more possibility for unnecessary intrusion into our lives we don’t need..and we should nip it in the bud…now. 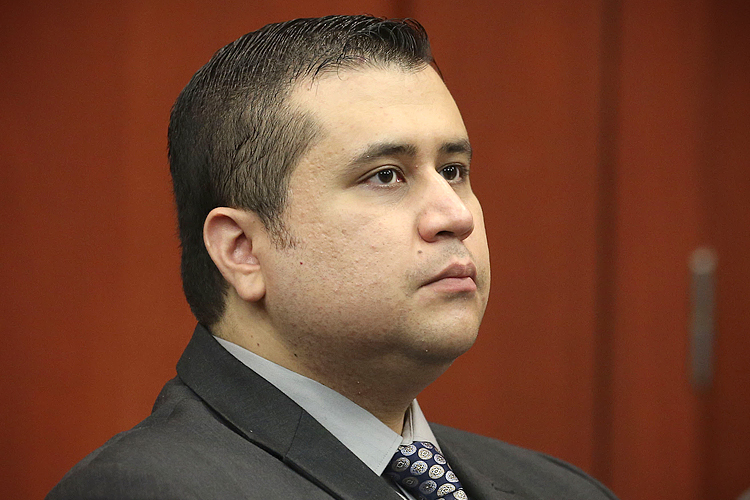 After Martin’s death the Sanford police decided not to bring charges against Zimmerman. Public outcry resulted, which was proper, and state authorities over-ruled the police and began legal proceedings. Those supporting Martin had made their point. Now the case was where it belonged..in the courts. But, having won their point, barring major legal errors, those same protesters should accept the verdict without much further objections. Naïve I know. But if you want the matter to be decided in the courts, as they did, then I think they can not pre-determine the verdict. They take their chances however the verdict turns out. No one was there that unfortunate night. It could have been self-defense; it could have been manslaughter. That’s what we have juries for (even the strange six person jury under Florida law.) They heard all the evidence; they heard all the arguments; they decided. I think we should accept their verdict..and I am a long time civil rights activist. 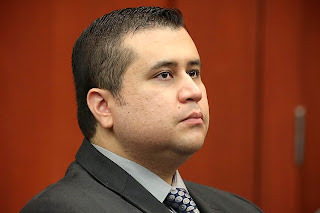 George Zimmerman is a piece of work. Florida’s “stand your ground” law needs to be changed But in this case, the jury has decided..and barring new evidence, I think we should accept their findings..and hope the Sanford community begins positive steps to heal the breach revealed between its white and black citizens. As our nation should also. I thought of several times in recent days. First, when I went to a memorial service for a long time friend in Frankfort. Mary Lou Martin had retired from state government years ago. She had worked there trying to make Kentucky “green” long before that was a popular cause. After her husband died she moved to her daughter’s home in another state and died there in April. A service was held so her many local friends could pay tribute. In the remembrance pamphlet handed out there was this story about Lou…"One story of (her) advocacy occurred in the late 1950s, while Lou and her family were living in Frankfort. Lou’s two young sons were Cub Scouts, and she was a den mother. After another den mother, who was black, expressed her frustration at being unable to take her little boy to the Capitol Theater because of its 'whites only' policy, she and Lou took action. Together the two women organized a five-person picket line outside the theater. Their appearance on the sidewalk holding signs while the Saturday morning children’s movies played inside, and the prospect of bad publicity quickly gave the manager a change of heart and he let everyone in. That was the end of segregation at the Capitol Theater." Another was a newspaper article about a man I wish I had known. Bob Fletcher died recently at 101. In the early days of World War Two, after the US had committed the crime of forcibly evicting native Japanese-American citizens from their lands around Sacramento, Mr. Fletcher went into action. Those families faced losing their homes to thieves or foreclosure. As the story recounted…"In the face of deep anti-Japanese sentiment…Fletcher…(quit his job and used his savings)..to work the farms of several Japanese families. He paid the mortgages and taxes and took half the profits. He turned over the rest---along with the farms---to those Japanese families when they returned (from their internment camps) in 1945. Last week there was a special election to fill a vacancy in the state house from this district, including Woodford County, and parts of Fayette and Franklin. It was a disaster. First, the pundits predicted a very light turnout, typical of special elections. Actually, 29% of the voters went to the polls, considered high for such elections. Christians 1, Lions (pundits) 0. Part of the reason for that higher turnout may have been the many tv ads taken by national (not local or Kentucky) PACs (political action committees). 100% of the ones I saw were negative; running down the opponent of the candidate the PACs favored. This is the dirty extension of the Supreme Court’s “Citizens United” decision—and the candidates or local parties can not object under that case. Christians 1, Lions 1. While I am told most of the advertising was done by radio and direct mail, the one TV ad I saw for one of the candidates, Mr. Crews, was badly done, and while he mentions some of the issues..casinos, taxes..he just listed them and didn’t tell us where he stood. None of the candidates ran ads I saw telling us who they were or where they stood. Christians 1, Lions 2. Because Kentucky Republicans have been telling everyone they have a chance to take control of the state House next year, lots of pundits believed them and saw this election as a “bellwether” for next year, and in part that view, I think, drove the national PACs, to spend many dollars on those negative tv ads. I disagree, no momentum has been established by this one race for next year, where House races will be decided, basically, by local issues. Christians 2 Lions(pundits) 2.